While the Tesla Model X crossover is gaining a lot of interest as it rolls out later this month, there are three current models that might be more significant to watch for potential sales increases in both the hybrid and plug-in electric channels. There’s been a lot of hope for these three models, along with the new product launches like the Model X, to help bring green new vehicle sales and resale values up again. The fourth-generation model – the 2016 Toyota Prius – will be gaining a 10% fuel economy improvement for the standard hatchback model, going from 50 mpg combined to 55 mpg combined. Most interesting is that the Prius is getting its most substantial exterior and interior changes since its inception in 1997 in the Japanese market. The new exterior design is longer, wider, lower and its interior is a bit roomier. The Prius’ nose is lower, its tail is higher and the roof’s peak has been moved forward. Standard LED headlamps make the front light units smaller. To gain more energy efficiency, the 2016 Prius had its Hybrid Synergy Drive consolidated to smaller and lighter, with great energy density in the battery pack. The internal-combustion engine is capable of having more than 40% thermal efficiency under certain conditions. The company says that it will soon be unveiling an “Eco” model that may be able to reach the 60-mpg mark. Toyota says that this new, redesigned version of the Prius will appeal to broader range of buyers. The upcoming 2016 Chevrolet Volt will get extended range – 53 miles battery only and a total driving range of 430 miles – up from the original 400 miles. The new Volt will have a range 40% farther than its original version. But it will only have a short model year with the 2016 version. General Motors will only be releasing the new Volt in its initial phase in the 11 states that have adopted California Air Resources Board’s (CARB’s) zero emission vehicle mandates. An improved version of the Volt will be released early in the spring of 2016. The company says that the 2017 model will still have the same engine and range as the 2016, but will have “convenience features” in the 2017 model; and adaptive cruise control is expected to be on the new Volt features. The Nissan Leaf will have a 27% range improvement for the battery electric vehicle. The 2016 model will now be able to travel an estimated 107 miles per charge. That extra power will come from a 30-kilowatt hour battery in the 2016 model. Earlier versions of the Leaf had a 24 kWh pack. The cost of the Leaf’s lithium-ion battery pack is getting better all the time – originally about $1000 per kWh down to $400 today; with the goal of reaching the $200 mark by the end of the decade. Nissan is proud to see the Leaf beat out competitors like the Ford Focus EV, which has been getting a little bit less than 100 miles per charge. The Leaf will be lagging way behind the Tesla Model S and the upcoming 200-mile 2017 Chevrolet Bolt. 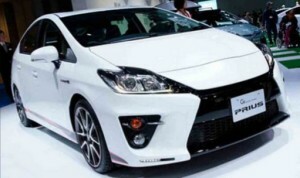 Not long ago, the market values of used hybrid electric vehicles, especially the Toyota Prius, were very strong. It made for optimistic trend forecasts on increasing sales of new hybrids and strong retention values – making them all the more appealing to consumer and fleets. More recently, used vehicle values have been softening on hybrids. Other green vehicles are still up in the air, such as plug-in electric vehicles and natural gas vehicles. NADA Used Car Guide has covered these topics in-depth lately. NADA Used Car Guide’s Perspective edition for June covered the topic of used hybrids. Here are a few highlights of the report along with what’s been happening with natural gas trucks……. Hybrid electric vehicles have been seeing decline in US new vehicle sales. Hybrid share of total new vehicle sales went from 3.1% of all new vehicle sales down to 2.9% this year. That’s the first non-production related decline since 2010, according to NADA. The Toyota Prius is feeling it harder than the market’s overall 10% drop in hybrid sales this year. Year-to-date, Prius sales are down 19%, while deliveries of the smaller Prius C were only down by 1%. Roles reversed between the Prius and the Toyota Corolla. In 2013, the one-year old Prius saw its retention fall to 70%, three points lower than the Corolla’s 73%; as for this year, the Corolla’s retention has been 75%, six points above the Prius’ 69%. 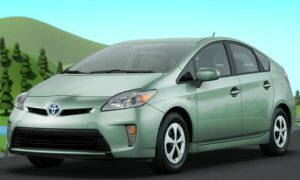 The Prius has always been the bellwether symbol of hybrid performance – it’s likely to influence other valuation analyses for other hybrids. Gasoline price spikes in 2008, and periods of price increases at lower levels and for shorter periods since that year, boosted sales of new hybrids and strengthened their resale values. But more recently, improvements in fuel efficiency of internal combustion engines (I CEs) and stabilized gasoline prices have softened demand for hybrids. Hybrids usually cost more than fuel efficient gasoline-engine cars, making them less appealing to many car shoppers. As automakers gear up for ambitious fuel economy targets and car shoppers remain interested in better mileage, fuel efficient cars and crossovers are doing well in new vehicle sales and used vehicle value retention. With more natural gas trucks showing up in the commercial vehicle market, NADA’s used truck report devoted a section to resale value trending. The report said that natural gas trucks are starting to show up in the secondary, used vehicle market; however, it’s still too early to tell much about their used vehicle performance. There’s yet to be a published benchmark yet for comparing commercial truck resale values to past model years. This has influenced buyers and lenders to be more hesitant about natural gas truck acquisitions, according to the report. Owners of hybrids, natural gas trucks, plug-ins, and other alt-fuel vehicles, will need to have a comprehensive lifecycle analysis. For consumers and fleets, the overall reasons for acquiring hybrids or other green vehicles will need to make sense compared to ICEs – even if their resale value is lower (or their residual value for lease holders, which are many times OEMs and their captive finance companies). Fuel efficiency, reduced emissions, environmental gains, and lower maintenance costs for hybrids and EVs may still be sizable enough to offset their used vehicle value retention loss. Toyota Motor Corp. has been carefully watched by advocates of clean vehicles – its Prius became the symbol of innovation in the hybrid space even though several other competitive hybrid models were launched around that time. When Toyota made an agreement in 2010 with Tesla Motors to integrate its electric motor and batteries into the Toyota RAV4 EV, along with Toyota’s $50 million investment in Tesla and Tesla’s takeover of the shuttered NUMMI factory in Fremont, Calif., the working relationship looked very promising. It also helped strengthen Tesla’s promise to become a thriving automaker (which was also supported around that time by Daimler’s investment). The Toyota and Tesla relationship seemed to sour this month when Toyota announced that it will phase out an agreement from 2012 for Tesla to deliver 2,600 battery packs for Toyota’s electric RAV4 over three years. Since then, a Toyota executive has said that the two companies will continue working together on battery technology even though the initial battery-supply agreement will be ending this year. Osamu Nagata, president and CEO of Toyota Motor Engineering & Manufacturing North America, acknowledged that Tesla has a clear business strategy for developing a better battery. Automakers and their suppliers do need to work together on developing better batteries, he said. Nagata also talked about the future of fuel-cell vehicles, which Toyota has indicated will become a top priority for the company in coming years. Jim Lentz, CEO of Toyota’s North American region, said during a an interview after Fortune magazine’s Brainstorm Green conference that hybrids, plug-in hybrids, and fuel cell vehicles hold greater promise for Toyota. Battery-electric vehicles make sense in a select way as short range urban vehicles, he said. “But for long-range travel primary vehicles, we feel there are better alternatives, such as hybrids and plug-in hybrids, and tomorrow with fuel cells,” Lentz said. Hydrogen fuel cells have become cheaper on a cost-per-vehicle basis and are more efficient on a well-to-wheel basis; that’s a primary reason Toyota has turned away from a long-term effort to create a viable battery-electric vehicle. Toyota will soon be launching a fuel cell vehicle in California and is investing $7 million in the FirstElement Fuel campaign to bring hydrogen refueling stations to the state. Toyota also has high hopes for hybrids and will be expanding its vehicle offerings in years to come. The automaker has developed a new semiconductor it says can boost fuel efficiency in hybrid cars such as the Prius by up to 10%. Test models have so far shown a 5% increase, and Toyota thinks it can commercialize the 10% more efficient semiconductor by 2020. The new semiconductors will manage the flow of electricity through the power control unit that integrates a hybrid vehicle’s battery, motor, and generator. As competition in the hybrid space increases each model year, Toyota wants to strengthen its position marketing the Prius family and its list of other Toyota and Lexus hybrid models. Hybrids, plug-in hybrids, and hydrogen fuel cell vehicles will be an integral part of Toyota meeting government emissions standards and strengthening its image as a leader in advanced, clean vehicles.